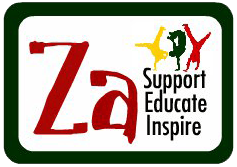 Last night, Sixth Form students at Backwell School held a Quiz Night in aid of the Za Foundation with the school’s Chair of Governors, Mr Maurice Moloney as quizmaster. 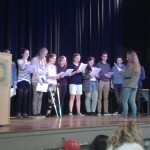 There was an excellent turnout with 21 teams of students and staff and live South African music in the interval from the Sixth Form Choir. 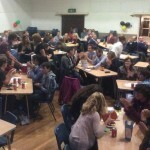 The quiz night raised £430 and a fun night was had by all!